Often thought of as a grain, quinoa (“keen-wah”) is actually a seed from a weed-like plant called goosefoot. Why is quinoa, once an obscure health-food product, so quickly becoming a Passover staple? First, Jews have been ravished for centuries for a kosher-for-Passover starch other than potatoes. Jewish law forbids all leavened wheat products, referred to as chametz, on Passover. And Ashkenazi Jews also refrain from eating anything containing even a trace of corn, beans, or rice, called kitniyot. Thus, this grain-like, filling, kosher-for-Passover food was bound to be welcomed with open arms. While quinoa was first imported to the United States from Chile in the 1980s, it was only deemed kosher for Passover in 1999 when Star-K’s Rabbi Shmuel Heinemann responded to a customer's inquiry. Rabbi Heinemann discovered that quinoa, a sesame-seed-looking kernel reminiscent of rice, is not a grain. Quinoa is a member of the beet family. When Star-K tested quinoa to see if it would rise, they found that it actually decayed. Furthermore, Rabbi Heinemann determined that quinoa is not kitniyot. It does not grow in the vicinity of chametz and its growth does not resemble kitniyot. And it has no religious precedent included in the prohibition against kitniyot. Thus, Star-K issued a statement that “quinoa is 100% Kosher L'Pesach.” While all agree quinoa is not chametz, there are a few who consider it kitniyot. It should be noted that the rabbis recommend buying “whole-grain” quinoa, packed by a company that only packs quinoa, such as Ancient Harvest or Trader Joe’s brand for Passover. Quinoa's health stats have further fueled its rise to fame on the Passover table. Quinoa is loaded with fiber and protein. And quinoa is gluten-free but contains more calcium, iron, and protein than wheat. 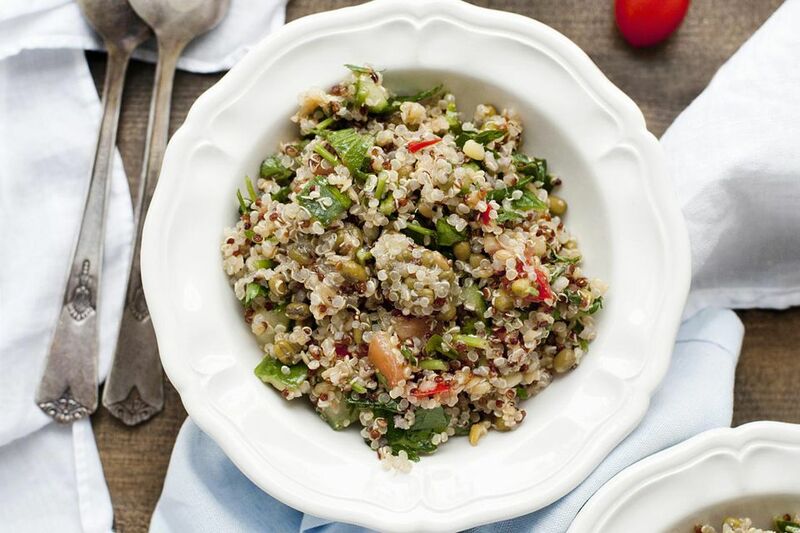 During Passover, when our kitchens have been turned upside down and inside out, quinoa’s easy preparation makes it especially Pesach-friendly. To prepare quinoa, simply pour it into boiling water (twice as much water as quinoa), turn off the flame, cover the pot, and let it cook itself for approximately 10 minutes.